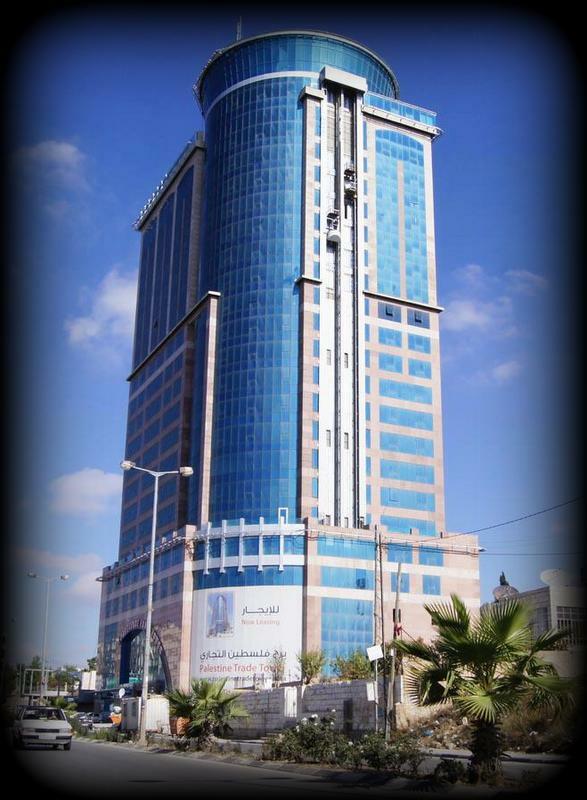 The Palestine Plaza Hotel in located in The Palestine Trade Tower, the tallest building in Palestine. Located between the 15th and the 20th floor of the tower, each room offers memorable views of the western suburbs of Ramallah with the Mediterranean Sea clearly visible on clear days. The hotel is crowned with the 340 capacity Palestine Revolving Restaurant already a notable and distinctive Ramallah landmark. 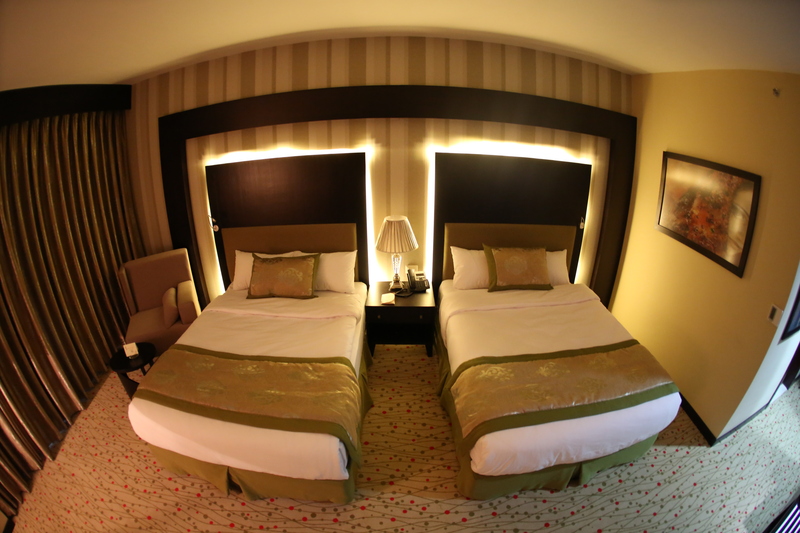 Our 6 floors hotel contains 100 rooms in addition to a fully equipped business center. 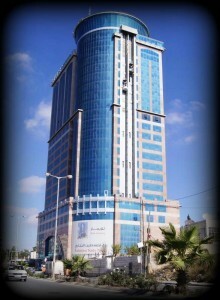 The Palestine Trade Tower is the newest landmark in Ramallah. With unparalleled views of Ramallah and Al Bireh these rooms are designed in a classic Chic style with elegant décor and furnishing. Panoramic windows maximize natural lighting with Jordan and the Holy City of Jerusalem clearly visible. Luxuriously appointed with 50 sqm, these rooms have complete five star amenities. Bottled water and Wifi is complementary with this room. Single Standard Guest Room is furnished with one king size bed (200 cm) and accommodates 1 adult. It is possible to include an extra bed. Double Standard Room is furnished with 2 queen size beds (140 cm) and accommodate a maximum of 2 adults. It is possible to include an extra bed. Our spacious and elegantly furnished junior suites are tastefully appointed with luxurious furnishings and fittings. Each suite offers an enhanced level of service to maximize your comfort. These suites also offer memorable views of Ramallah and its southern suburbs, with amazing vistas of the Holy City of Jerusalem. To the west you will see the Mediterranean Sea on a clear day. Palestine Plaza Hotel takes luxury to a new level with its 96 square meter Executive Suite. These suites, with their amazing panoramic views of Ramallah, Al Bireh as well as many nearby towns and villages showcase the beauty of Palestine offers a separate bedroom and living room area. Watch the sun set over the Mediterranean Sea each day while you relax pampered with the best service Palestine can offer. These stylish suites are characterized by their spaciousness. Luxuriously furnished each suite caters to your every comfort and desire with a king size bed (200 cm), separate second bedroom, living and dining room. 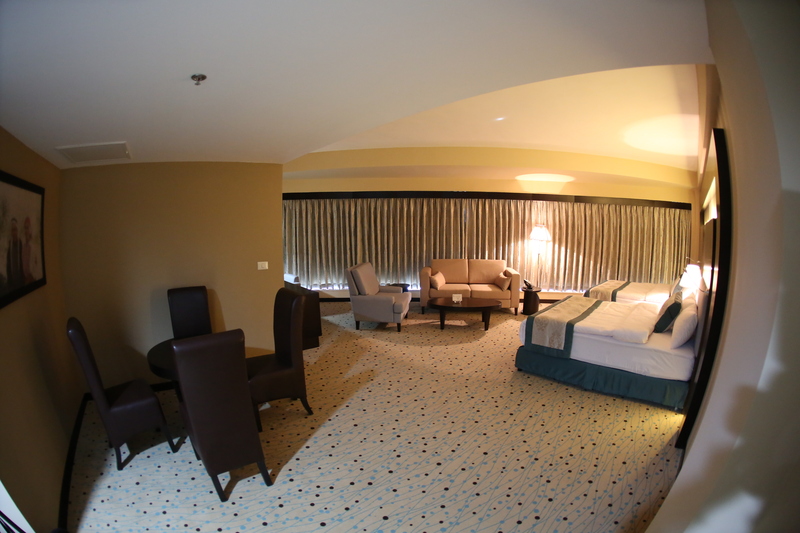 The Palestine Plaza Presidential Suite has been exclusively designed and decorated in the modern style. It is for those who are looking for a unique experience all the while being pampered with superior personal service in a first class setting. At 129 square meters in size this lavish suite provides expansive sleeping, living and work space. Rest and relax or catch up with your mail while enjoying spectacular vistas of north Palestine. Step from your open plan bedroom into the spacious living room or venture over to your well-appointed work space and take advantage of the hi speed Wi fi service to keep up on your business or your social network. Or simply luxuriate and freshen up in one of the hot tubs and prepare for your unforgettable dining experience while enjoying the amazing panoramic views all in the privacy of your suite.